Summit Family Dental is a new dental practice dedicated to providing a high level of care and an experience that feels customized to each patient. They came to us for branding and identity design that would establish them as the area's premium dental provider and reflect their state of the art, new from the ground up office. It was important to Summit Family Dental to launch their business with cohesive, consistent brand look and feel. To help them do this we looked outward: studying the competition, and looked inward: conducting a brand survey with the owners. Competition Study. We found dental practices in the area had a variety of logo executions. Most did not appear to be recently updated or part of a cohesive visual identity system. Brand Attributes. Next, we looked inward and determined what brand attributes were most important to Summit Family Dental. Brand Personality. With information from the above two categories, as well as discussions about the selection of the name "Summit", we put together their Brand Personality, with early visual look and feel of the brand. 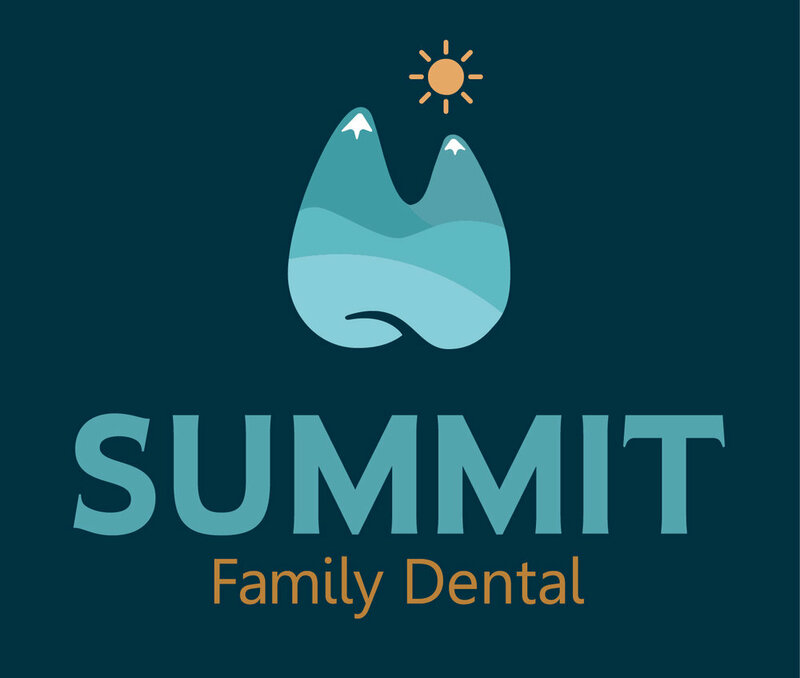 With the guidance outlined above, we set out to create an identity for Summit Family Dental. Call outs in the image below detail how these goals were met. Anatomy of the Summit Family Dental logo. Below is a look at the various formats of the final logo files provided to the client. With the logo established, we focused completing the visual identity. The Visual Identity Elements support the logo and established Brand Personality. They also serve as a guide for all new materials that will be produced. With the logo and Visual Identity established, we moved on to producing everything needed to introduce this new business to the public. Scroll down to see how our research, logo design, visual identity design work together for consistent branding across various media.